That is encouraging, but it sure has been slow slogging. And poor Alan Bond doesn’t even get a mention on the company’s list of managers, directors and big kahunas. Ouch! I find it disgusting how a) (I believe) our modern economy, driven entirely by short time profits, and b) our (related) risk averse approach to everything – that encourages tons of paperwork and tries to minimize experiments as much as possible – stymies technological developments like SABRE. Imagine similar R&D projects during war time would have taken just as long. World War II would have been over before something like the FW-190 or the P-51D had ever flown and jet engines would still have been only on the drawing board. 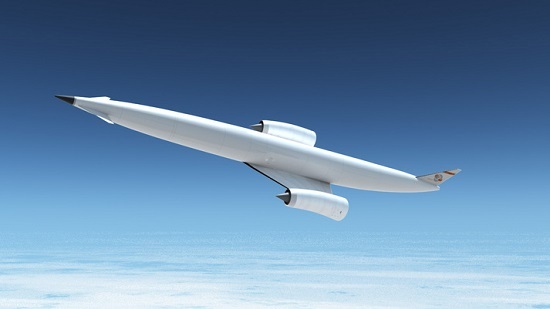 Like the concept but seems to me it suffers the same problem as the Shuttle – throws a lot of weight into orbit that is not payload. No other way to do SSTO. This is the problem with SSTO (see Hug Doug) and Skylon, but not necessarily with SABRE. In order to enable SSTO, REL have invented SABRE, which is truly ground breaking. As far as I can see, there’s no reason that SABRE could not be used on a VTVL first stage. The saving in launch LOX could well be revolutionary. I’m sure he’s the kind of person to whom plaudits and riches are not the motivation. That said, it’s nice to see someone else notice his lack of mention in this round of news. And thank you for noticing that I noticed ;-)…I sure hope that he’s happy and busy, doing what he does best. And I hope that he’ll be around to see his baby soar to space. I think there’s little doubt that by collecting 150-200 tonnes of LOX from the atmosphere SABRE would allow Skylon to work as an SSTO. That said, I agree that a fully reusable staged launcher is a better approach. One thing that Skylon, and all SSTO and spaceplanes generally, are not, is cost efficient. Nor are they big payload haulers. I know that, but I’m not sure Bill does.